- <strong><a href="https://www.youtube.com/watch?v=__i_LoRKhJ0" target="_blank">Allison Road - Prototype Gameplay</a></strong> [YouTube] <br/> <br/><img src="https://i1.ytimg.com/vi/__i_LoRKhJ0/maxresdefault.jpg" width="95%"> <br/> <br/><em>Hi there :) <br/> <br/>We're super excited to show you some gameplay of our Allison Road prototype / pre-Alpha. <br/> <br/>These 13 minutes have been put together by our small team of six (that's including SFX & Music) to showcase where the development of the game is at and to give you a feel for the vibe that we're going for. <br/> <br/>In order to do that without spoiling any of the story we decided to separate it from the actual game, so while this is real gameplay it's not what you'll see in the full version of the game. <br/> <br/>At this point pretty much all of our core mechanics are in place, however, some actually didn't make the cut-off for the video; <br/>The inventory is one of those things. <br/>We'll showcase that at some point in the future. <br/> <br/>Everything you see here is work in progress of course; some of the assets are just stand-ins and stuff like that, however, it was important to us to show you what Allison Road looks like when played. <br/> <br/> <br/>Really hope you like it and if you have any comments please head on over to the facebook page <br/> <br/><a href="https://www.facebook.com/AllisonRoadGame" target="_blank">https://www.facebook.com/AllisonRoadGame</a></em> <br/> <br/>The inevitable successor to Konami's cancelled and deleted <a href="http://www.mortalkombatonline.com/content/forum/showmessage.cds?id=152476">Silent Hills P.T. (Playable Teaser)</a> has arrived. <br/> <br/>Realistic, mundane home setting with even more glass-based tension thanks to patio french doors. Great looking, but the scares fall well short. It's the expectation of horror -- helped along by P.T. -- that does most of the heavy lifting. When the creepy kicks in it's clumsy and not nearly as effective. <br/> <br/>Still, this is prototype stage gameplay and this will definitely be a project to watch. If you haven't seen it yet - check it out! Just temper those expectations (if you're still pining for Silent Hills). We're super excited to show you some gameplay of our Allison Road prototype / pre-Alpha. These 13 minutes have been put together by our small team of six (that's including SFX & Music) to showcase where the development of the game is at and to give you a feel for the vibe that we're going for. In order to do that without spoiling any of the story we decided to separate it from the actual game, so while this is real gameplay it's not what you'll see in the full version of the game. The inventory is one of those things. We'll showcase that at some point in the future. Everything you see here is work in progress of course; some of the assets are just stand-ins and stuff like that, however, it was important to us to show you what Allison Road looks like when played. The inevitable successor to Konami's cancelled and deleted Silent Hills P.T. (Playable Teaser) has arrived. Realistic, mundane home setting with even more glass-based tension thanks to patio french doors. Great looking, but the scares fall well short. It's the expectation of horror -- helped along by P.T. -- that does most of the heavy lifting. When the creepy kicks in it's clumsy and not nearly as effective. Still, this is prototype stage gameplay and this will definitely be a project to watch. If you haven't seen it yet - check it out! Just temper those expectations (if you're still pining for Silent Hills). It still hurts my very soul what happened to PT and Silent Hills. I still haven't given this a proper look, but how you described it and how you felt, Mick, I can already tell it will not be as good as PT. That's not to say this won't be good or anything, but I just know the "scares" will probably fall flat and won't be as effective as you've already said. <br/> <br/>I'll give this a look in a few and give my thoughts afterwords. It still hurts my very soul what happened to PT and Silent Hills. I still haven't given this a proper look, but how you described it and how you felt, Mick, I can already tell it will not be as good as PT. That's not to say this won't be good or anything, but I just know the "scares" will probably fall flat and won't be as effective as you've already said. I'll give this a look in a few and give my thoughts afterwords. And I have now watched it and I gotta say I was pretty bored with it honestly. Yes I know it was just 13 minutes and won't be in the final game, but idk. I didn't really dig the narrator at all. "I gotta take a leak" was the most unintensionally funny thing. Like, I guess that was to signal the player to go to the restroom to trigger the "scary", but c'mon. The graphics were pretty great I'll admit. Obviosly not better than PTs, but it got the job done. The location was nice too. <br/> <br/>So yeah, I honestly don't have much to say. The ending didn't scare me like Lisa in PT either. Felt kinda forced, but that's just, like, my opinion, man. <br/> <br/>I'll keep myself looking over this project as it goes along, though. And I have now watched it and I gotta say I was pretty bored with it honestly. Yes I know it was just 13 minutes and won't be in the final game, but idk. I didn't really dig the narrator at all. "I gotta take a leak" was the most unintensionally funny thing. Like, I guess that was to signal the player to go to the restroom to trigger the "scary", but c'mon. The graphics were pretty great I'll admit. Obviosly not better than PTs, but it got the job done. The location was nice too. So yeah, I honestly don't have much to say. The ending didn't scare me like Lisa in PT either. Felt kinda forced, but that's just, like, my opinion, man. I'll keep myself looking over this project as it goes along, though. - <strong><a href="http://www.gamespot.com/articles/pt-style-horror-game-allison-road-dumps-kickstarte/1100-6431363/" target="_blank">PT-Style Horror Game Allison Road Dumps Kickstarter to Go the Traditional Route</a></strong> <br/> <br/><em>Allison Road, the new horror game that frequently draws comparisons to PT, will not be funded through Kickstarter after all, and is instead set to be published in a more traditional manner. <br/> <br/>The crowdfunding campaign was canceled today by Lilith, the game's developer, coinciding with news that the game will be published by Worms developer Team17. <br/> <br/>"We have decided to withdraw the Kickstarter campaign to allow us to commit 100 percent to an opportunity that will give us the chance as a team to create the best game possible," a Kickstarter update reads. "As a newly founded studio, we've been completely overwhelmed by your encouragement and huge interest in Allison Road and we'd love to thank each and every one of you for all of the amazing support you have given us during our Kickstarter campaign and beyond. Really incredibly appreciated." <br/> <br/>"Working with Team17 will give us the chance to make our game unhindered creatively, but at the same time will give us the resources, support, and experience that only a 25-year-old studio can give," the post explains.</em> <br/> <br/>Pretty cool! I don't know if it can live up to <a href="http://www.mortalkombatonline.com/content/forum/showmessage.cds?id=152476">P.T.</a>, but it's not a bad idea for somebody to try to fill that void. Konami, ya big freakin' dopes. Allison Road, the new horror game that frequently draws comparisons to PT, will not be funded through Kickstarter after all, and is instead set to be published in a more traditional manner. The crowdfunding campaign was canceled today by Lilith, the game's developer, coinciding with news that the game will be published by Worms developer Team17. "We have decided to withdraw the Kickstarter campaign to allow us to commit 100 percent to an opportunity that will give us the chance as a team to create the best game possible," a Kickstarter update reads. "As a newly founded studio, we've been completely overwhelmed by your encouragement and huge interest in Allison Road and we'd love to thank each and every one of you for all of the amazing support you have given us during our Kickstarter campaign and beyond. Really incredibly appreciated." "Working with Team17 will give us the chance to make our game unhindered creatively, but at the same time will give us the resources, support, and experience that only a 25-year-old studio can give," the post explains. Pretty cool! I don't know if it can live up to P.T., but it's not a bad idea for somebody to try to fill that void. Konami, ya big freakin' dopes. - <strong><a href="http://au.ign.com/articles/2016/08/22/allison-road-pt-spiritual-successor-revived" target="_blank">Allison Road: P.T. Spiritual Successor Revived</a></strong> <br/> <br/><em>After news of its cancellation made the rounds back in June, the Silent Hills-inspired first-person horror game Allison Road has been revived. 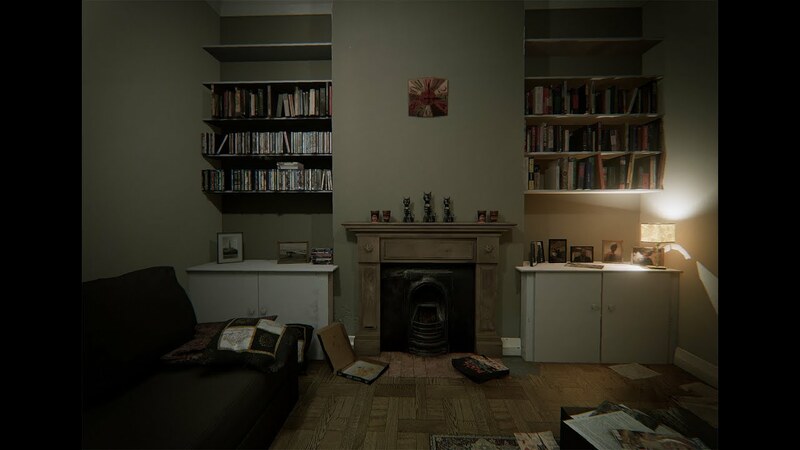 <br/> <br/>In a statement to IGN, Allison Road creator Christian Kesler confirmed that he would continue to work on the game on his own, this time under a new label called Far From Home, co-founded with his wife, who is also his business partner. <br/> <br/>“I'm actually really happy to be able to announce that [Allison Road] will continue,” Kesler told IGN, saying he is as passionate about the project now as he was on day one. “We had a lot of support online and some folks out there are just incredibly nice.” <br/> <br/> <br/>Allison Road - Prototype Gameplay <br/>Allison Road / 22 Aug 2016 <br/>Allison Road: P.T. Spiritual Successor Revived <br/>Share. <br/>Back from the dead. <br/> <br/>By Chloi Rad After news of its cancellation made the rounds back in June, the Silent Hills-inspired first-person horror game Allison Road has been revived. <br/> <br/>In a statement to IGN, Allison Road creator Christian Kesler confirmed that he would continue to work on the game on his own, this time under a new label called Far From Home, co-founded with his wife, who is also his business partner. <br/> <br/>“I'm actually really happy to be able to announce that [Allison Road] will continue,” Kesler told IGN, saying he is as passionate about the project now as he was on day one. “We had a lot of support online and some folks out there are just incredibly nice.” <br/> <br/>“It did take a bit of soul searching to find the drive again to work on Allison Road and to simply make a call on what to do next,” Kesler told IGN. “After the set back, I took a bit of a break from working on it and re-ev<i></i>aluated all the work that had been done so far — the whole journey, so to speak. I started making a few (in my opinion) necessary changes to the story and the flow, little bits and pieces here and there, and before I knew it, it sort of naturally came back to life.”</em> <br/> <br/>More comments in the article. I managed to miss the cancellation, so this is good news without any of the disappointment. Yay! After news of its cancellation made the rounds back in June, the Silent Hills-inspired first-person horror game Allison Road has been revived. In a statement to IGN, Allison Road creator Christian Kesler confirmed that he would continue to work on the game on his own, this time under a new label called Far From Home, co-founded with his wife, who is also his business partner. By Chloi Rad After news of its cancellation made the rounds back in June, the Silent Hills-inspired first-person horror game Allison Road has been revived. More comments in the article. I managed to miss the cancellation, so this is good news without any of the disappointment. Yay!